SIMATIC Panel PCs are suitable thanks to their high industrial compatibility for use in control cabinets, consoles and control panels, as well as directly on the machine. Typical areas of application can be found in both factory and process automation. 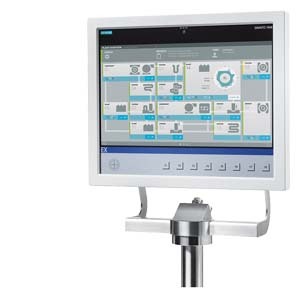 SIMATIC HMI Panel PC Ex OG with international approvals for operator control and monitoring in hazardous areas. The SIMATIC HMI Panel PC Ex OG is a Panel PC for direct use in hazardous areas. It is specially designed for applications in the oil and gas industry, but it can also be used in many other industries where explosion protection is required. The device is both an ideal platform for (maintenance-free) embedded applications, as well as a flexible platform for applications under Windows 7 Ultimate or Windows Embedded Standard 7 professional. The SIMATIC HMI Panel PC Ex OG is a compact device comprising an operator control unit with integral computing unit. © 2018 EVERTEC Co., LTD. All Rights Reserved.